Ida ingen Chinn Fhalad (died 570 to 577), also known as Ita, Ida or Ides, was an early Irish nun and patron saint of Killeedy (Cluain Credhail). She was known as the "foster mother of the saints of Erin". The name Ita ("thirst for holiness") was conferred on her because of her saintly qualities. St Ita’s Day is when a Pattern, ie. Patron, is held at St Ita’s Church, Killeedy in Co. Limerick. No manual work is done on St Ita’s Day and female children born in January in this parish are usually christened Ita, in honour of this saint. There is a shrine within the ruins of the church, which is believed to mark the site of Ita's grave. The tradition is that visitors to Ita's grave cover it with flowers. Ita was born in 480 and was baptised as Deirdre and grew up in Drum, County Waterford. Her father was Cennfoelad or Confhaola, a Déise Chieftain and her mother was Necta. Cennfoelad was descended from Felim the lawgiver. An account of her life in the Codex Kilkenniensis, follows the example of Brigit in describing the opposition Ita meets in pursuit of her vocation. Genealogies of the saints go so far as to make Ita's mother, Necht, a daughter of Dallbrónach, and therefore a sister of Brigit's mother. Ita was said to embody the six virtues of wisdom, purity, beauty, musical ability, gentle speech and needle skills. Ita refused her father's wish that she should marry a local chieftain, as she believed that she had a calling from God and wanted to become a nun. To convince her father to change his mind, she fasted for three days and three nights. On the third night, God gave out to her father in his sleep. The next morning, Cennfoelad agreed that Ita could do as she wished. At the age of sixteen, Ita set off on her journey. She moved to Cluain Credhail, a place-name that has ever since been known as Killeedy in Co. Limerick where she founded a small community of nuns and resided for the remainder of her life, in community with women. Legend has it that Ita was led to Killeedy by three heavenly lights. The first was at the top of the Galtee mountains, the second on the Mullaghareirk mountains and the third at Cluain Creadhail. Her sister Fiona also went to Killeedy with her and became a member of the community. Ita was welcomed to Killeedy by the local chieftain of the Ui Conaill Gabhra tribe. The chieftain wanted to give Ita a large trait of land but she only wanted a few acres as a garden for her community. The convent became known as a training school for little boys, many of whom later became famous churchmen. One of these was St. Brendan, whom Bishop Saint Erc gave to Ita in fosterage when he was a year old. St. Ita kept him until he was six. The great Navigator revisited her between his voyages and always deferred to her counsel. 'A scowling face, obstinacy in wrong-doing, and too great a confidence in the power of money'. "True faith in God with a pure heart, a simple life with a religious spirit, and open-handedness inspired by charity." St Ita is sometimes called "the white sun of the women of Munster" or the "Brigid of Munster". She was also known as the "Foster Mother of the Saints of Ireland". 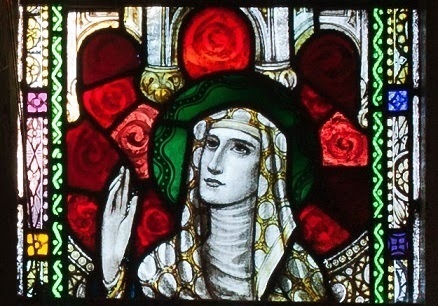 Ita was a mother figure to some of Ireland's early saints. St Brendan was in Killeedy for five years under the care of St Ita in the monastery at Killeedy from the time when he was a year old. Only two of names of the abbots of the monastery are recorded. They were Cathasach, who died around 810 or 815, and Finnachta, who died in 833. St. Ita died in approximately 570. Her grave, is in the ruins of Cill Ide, at Killeedy where her monastery once stood. A holy well nearby, almost invisible now, was known for centuries for curing smallpox in children and other diseases as well. This well has two names - it is called St. Bernard’s Well on the OS map, but the local name has always been Tobar Bhaile Ui MhÈidÌn, My Little Ita’s Well, coming from the place name, Cill Barra MhÈidÌn. "Church of my little Ita’s Height." Near St Ita’s Well is a stone, which is said to bear the impress of the hoof of St Ita’s favourite donkey which, unguided, used to bring new milk to her convent, from a farm she had four miles farther west. Someone who was acting as caretaker for the saint there milked the cows, when the milk was then placed in the two empty pails, which hung like panniers, one on each side of the faithful beast. 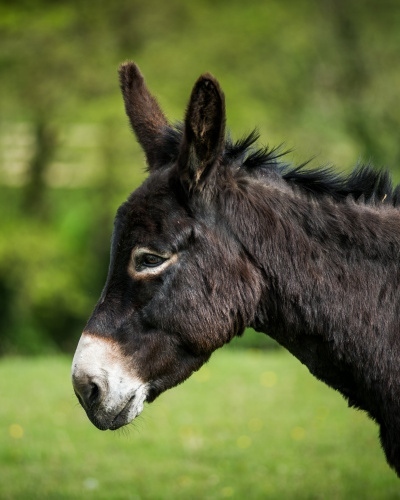 On one occasion some robbers, who made a raid on this dairy farm, found the donkey with the two pails full of milk, and just ready to start on its return journey. They overturned two milk-pails, allowing the contents to flow down the hill side. But the milk, which was intended for the support of St Ita and her nuns and also to be distributed among the needy and poor, turned into blood, and that place was called, “Plenty (or abundance) of blood”, and which event gives the name Turnafulla to the townland and parish of that name to-day. Or another occasion this donkey stood on a strong thorn, which lamed it. St Ita pulled out the thorn, which she then thrust into the ground. This grew into a large tree, and a peculiarity of that whitethorn was that all of it's thorns were pointed downwards. The tree remained until recent times, when someone with the idea of effecting improvements, dug the surface around it. St. Ita’s thorn withered and died off, and is no longer an object of veneration there. St. Ita is the special patroness of pregnant women, and it is principally such who visit and pay rounds at her holy well.